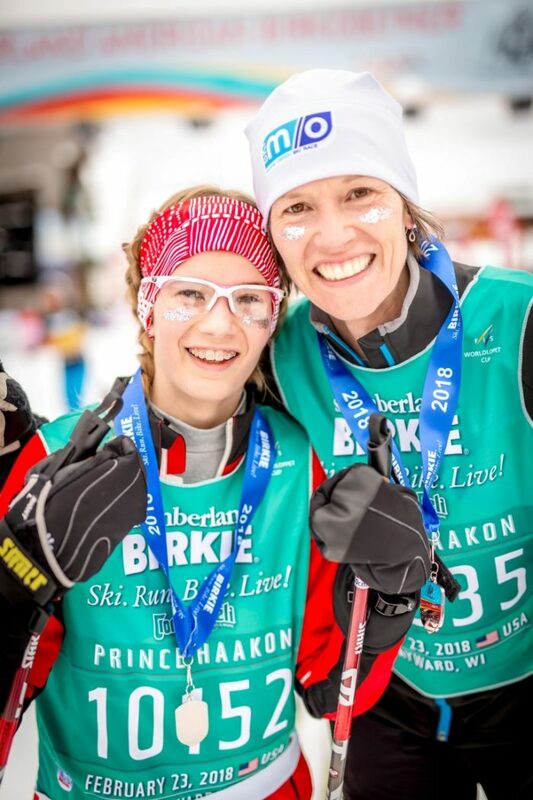 Exciting, shorter ski event providing skiers an opportunity to be part of the Birkie fun! Prince Haakon skiers will have a memorable experience skiing 15 kilometers on the beautiful Birkie Trail. Their journey will culminate with a trip up and over the International Bridge, amidst the ringing cowbells and cheering crowds, as they ski toward the finish line in downtown Hayward WI. Spectators, too, will enjoy the celebratory, festival-like atmosphere, food, and music in downtown Hayward on Friday, for the Korte and Prince Haakon, and on Saturday for the Birkie. It is a great way to catch Birkie Fever! We hope to see you in 2020! Is open to both skate and classic style skiers age 13 and older. 2020 Registration Opens May 1, 2019! All participants must be 13 years of age or older on race day in order to register for the Prince Haakon. Please register under the same name every year (exact spelling) in order to keep track of your previous race finishes. If you are unsure of the name you registered under previously, please call the Birkie office at 715-634-5025 or email registration@registration.com. Skiers interested in skiing the Prince Haakon on Friday and the Birkie on Saturday can register for both races! Event Registration Protector also comes with Competition Care: a 24 hour assistance hotline that can give you race-day information, find nearby equipment stores, and much, much more. 2020 Birkie Green Gear Bag! It’s Back for 2020! Everywhere we looked, during Birkie week 2019, we witnessed skiers using their awesome reusable Birkie gear bags! This year, as part of the Birkie Green initiative (details coming this summer) we’ve designed a custom Birkie Green gear bag! Use of reusable Birkie gear bags significantly reduced plastic waste during both Birkie week 2018 & 2019. With your help, we hope to reduce even more waste from plastic bags in 2020! Thank you for helping the Birkie to go green! The 2020 Birkie Green gear bag has the same great styling, same handy features, same convenient size, and a brand new look! The Birkie Green gear bag will be used in lieu of the plastic bag you normally receive at bib pick-up. If you opt not to participate in this opportunity at registration, a plastic bag will still be available during bib pick-up 2020. During the 2020 registration process, you can claim your own bag for a mere $45! 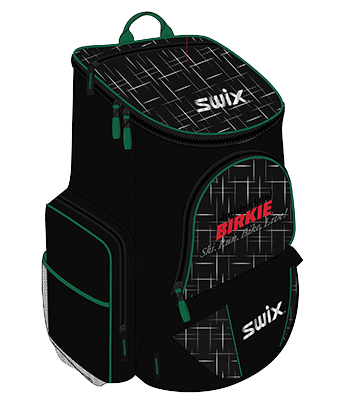 The $125 value Birkie Green gear bag is available only during the registration process. You must register for the race and gear bag no later than July 1 to guarantee a Birkie Green gear bag in 2020! 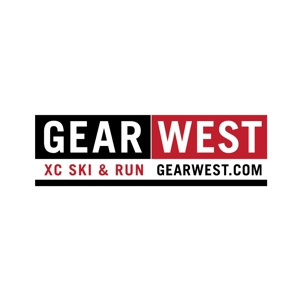 For skiers who’ve opted to secure a Birkie Green gear bag during Birkie, Korte, and Prince Haakon registration, gear bags will be distributed during bib pick-up 2020. The reusable Birkie Green gear bag is yours to use on your year-round adventures as well as during future Birkie, Korte, and Prince Haakon races! Only an official 2018, 2019, or 2020 Birkie gear bag, or the provided plastic bag, will be accepted at bag drop-off on race day. Dimensions: 26.5 x 10.5 x 12.5 with backpack straps. The Birkie gear bag is a slightly larger version of that used by the US Ski Team and includes a special clear pocket on the top of the bag for your bib number! The race is run according to the rules and regulations of the FIS and any special requirements stated in the entry form, Birch Scroll, this web site, www.birkie.com and participant race instructions. Offenses against any of these rules may lead to disqualification for current or future events and the forfeiture of any and all awards. All participants in the Prince Haakon must be 13 years of age by February 22, 2020. There are no refunds allowed for any reason including race cancelation. Entry fees are non-transferable between individuals or to future races. You may request to change to the Kortelopet or Birkie by clicking here. Participants who complete an event in for which they are not registered (for example – ski the skate course when they registered for classic) will be credited for completing the race but will not be given a finish time, will not be eligible for awards and will not be included in the official results. Click here for the Participant Rules. Cut-off times for races must be strictly followed for the safety of participants and volunteers. Participants not following guidance from Medical Staff and Race Chiefs will risk penalty and possible ineligibility for future Birkie Events. 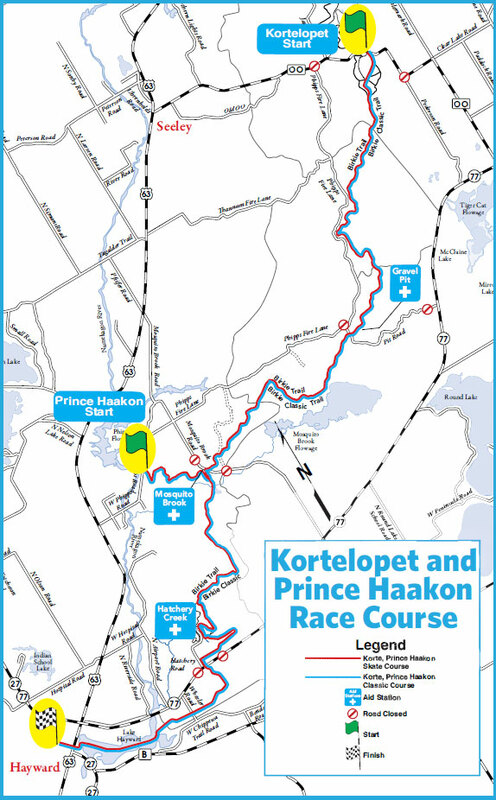 Prince Haakon 15K skiers will depart from the start area near Phipps Road, north of Hayward, WI. The first 2-kilometers of the course are 14′ wide with one classic track and one skate lane. The remainder of the course is shared with Kortelopet skiers and is 30′ wide with two classic tracks and two skating lanes. Prince Haakon skiers will ski across Lake Hayward and over the American Birkebeiner International Bridge as they make their way toward the finish line on Hayward’s snowcovered Main Street. Cheering crowds and the ringing of cowbells will greet them on Main Street. Click the image above for PDF map. Prince Haakon finishers will receive a medal when they cross the finish line in Hayward. The top three overall women and men will be recognized in a ceremony in the Celebration Plaza at 2:30 pm on Friday. There is no technique distinction in the awards. There are no age group awards. Skiers, whether elite or citizen, count on spectators to cheer them on as they set their sights on the finish line. Just when they think they’re fading, spectators provide an emotional lift that encourages them along their way. Catch Birkie Fever! Watch, cheer and ring cowbells for skiers. Join the celebration at the People’s Bank Midwest Celebration Plaza on Main Street between 3rd and 4th Streets beginning at 10:00 am. The first finishers are welcomed with the ringing of the church bells as they come off of Lake Hayward on to Main Street at approximately 1:30. Good viewing is possible along the length on Main Street. Parking is available at designated parking lots with shuttle service throughout the day. There is limited street parking with in the downtown area, respect the parking direction signs and utilize the parking lots. For lodging information, see our Lodging page. The First Lutheran Church will provide childcare for children ages 4-12 on Friday, Feb. 22nd from 8am – 5pm and/or Saturday from 8am – 5pm. Cost is $50/child/day. Lunch & snack will be provided. A registration form can be found here. Completed registration forms and questions should be sent to Tiffany Chipman at tchipman@firstlutheranhaywardwi.net . For additional questions, please contact Tiffany at 715-634-2141. 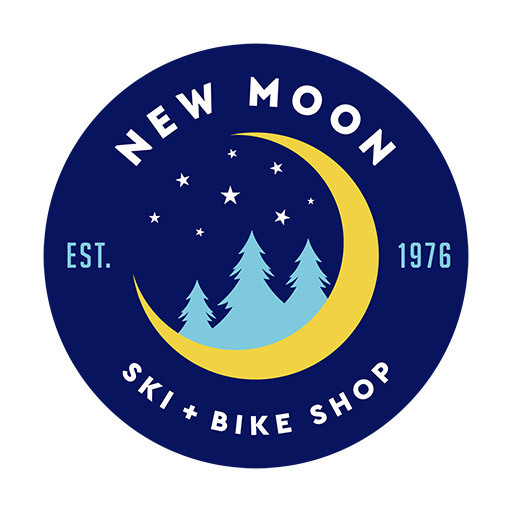 Check back soon to get this year’s wax recommendations from our sponsors — Swix, New Moon, Gear West, Start, and BNS.